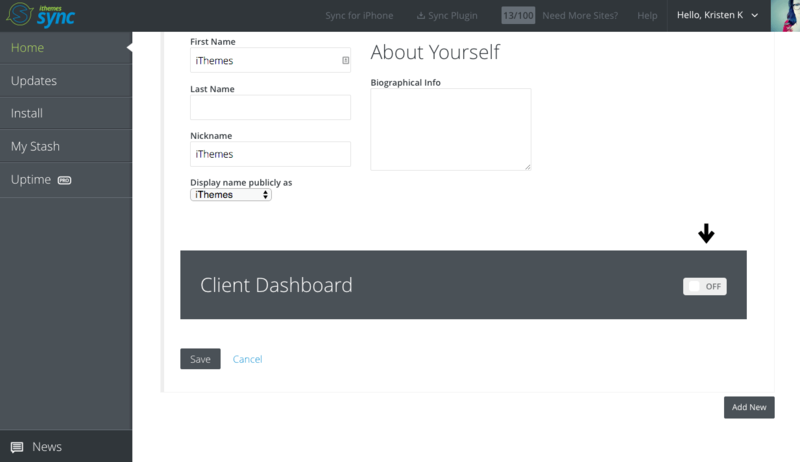 Getting started with Sync Pro’s Client Dashboard is easy. Log in to the Sync dashboard and make sure you’re running v.1.6.9+ of the Sync plugin (you can update directly from the Sync dashboard). 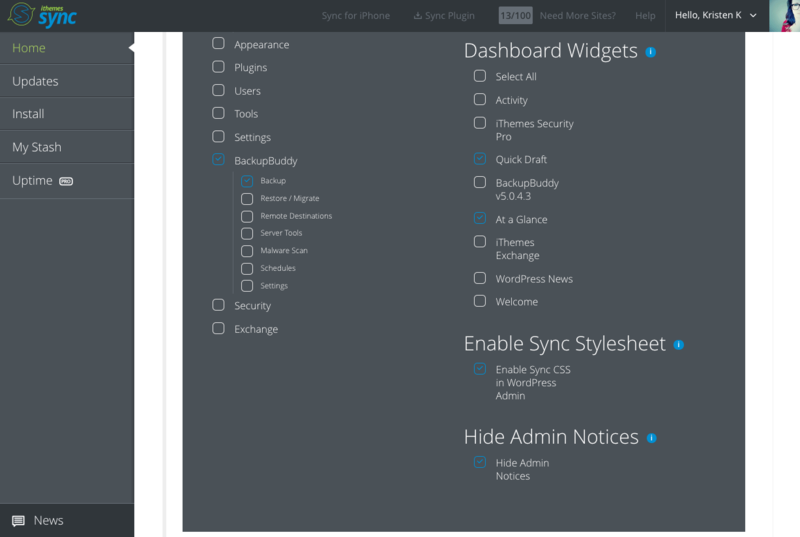 Once you’ve added a site to Sync, just expand the site view and click the Client Dashboard tab. You’ll now see a list of current users for the site. You can either add a new one here or configure an existing user. Click the edit icon and scroll down until you see the client dashboard section. Toggle the on button to enable client mode. Select which menu items to show by clicking the checkbox next to each item. You maybe want to hide some menu items completely, or only display some options for some plugins. In the right column, you can control what’s displayed in the top admin bar and disable distracting dashboard widgets. 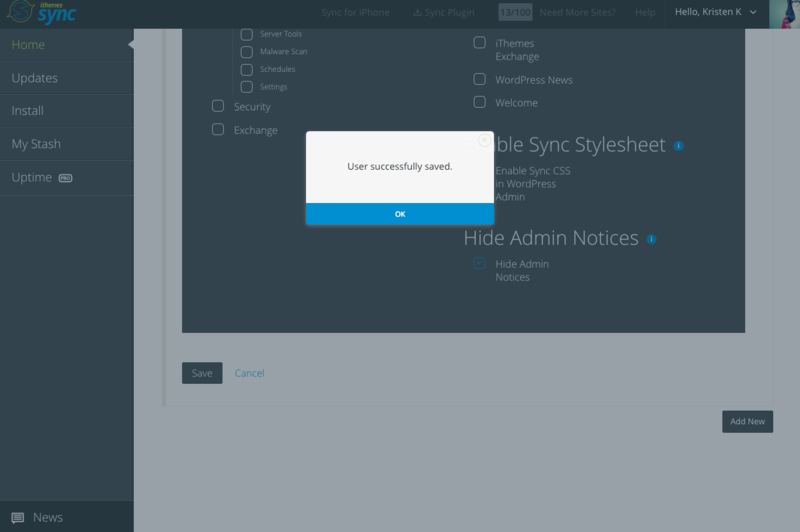 Take the simplification of the WordPress Dashboard even further by enabling the Sync CSS file to clean up the WordPress Admin area, making it more user-friendly for your clients. Last up, you can even hide admin notices — or the messages that some plugins insert into the Dashboard that could allow a user to access a page you have hidden. Once you’ve made your selections, click Save. 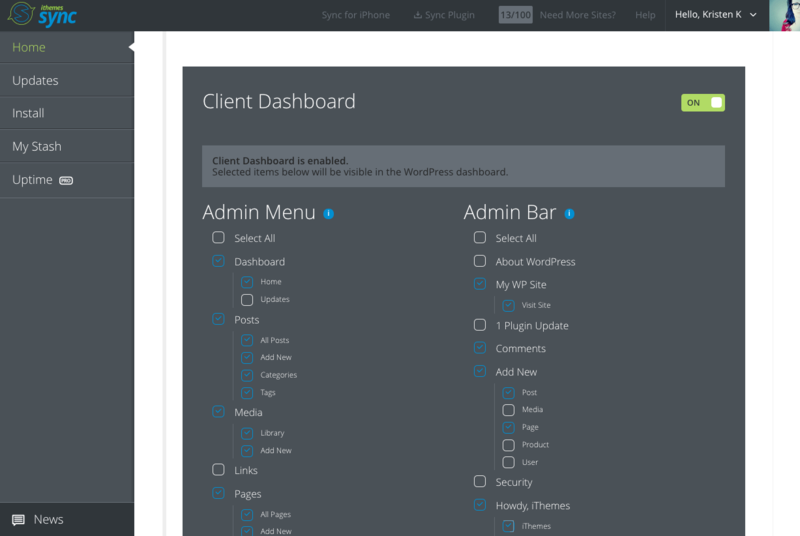 Now, when a client logs in to their site, they’ll see the custom WordPress dashboard view that you created for them.